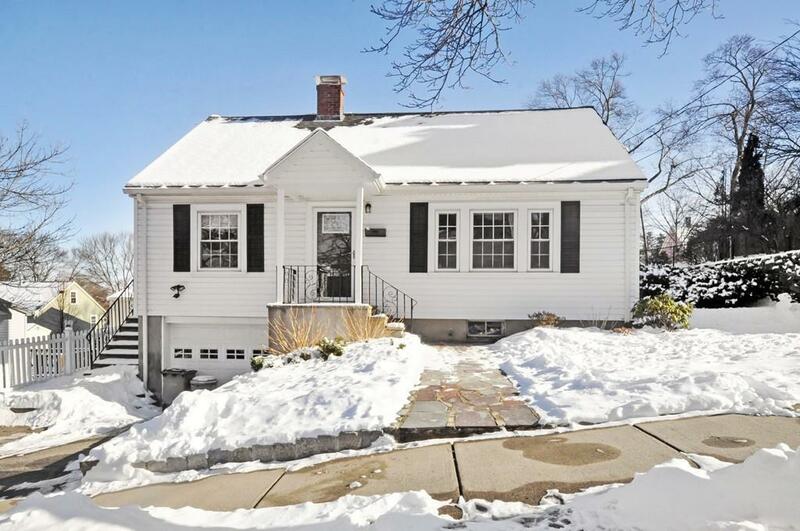 Classic Cape sparkles with both pride of ownership & beautiful renovations! With 3-beds, 2 full baths & bonus basement space, there is plenty of room to kick back, relax and enjoy. The gorgeous modern kitchen has all the must-haveâs â S/S appliances, white cabinets w/built-in utensil, trash, and drawer inserts, shiny granite counters, beautiful backsplash, & stunning fixtures. Open dining area has a custom built-in w/pantry for practical use. Large living room with lots of natural light. Updated 1st fl bath has wainscoting, sleek marble finishes & fresh paint. Upstairs has linen storage, updated full bath with a stunning tiled glass shower and 2 fully dormered bedrooms. There are gleaming hardwood floors throughout and amazing closets. Youâll love the meticulously landscaped yard with charming stone walls, gardens, and a flagstone walk and patio. Situated in the sought-after Brackett district, & close to Robbins Farm Park, public transportation, Mass. Ave. shops & restaurants!